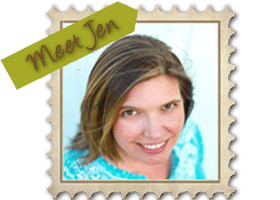 This is a guest post from my friend Jen at Word Traveling, a non-profit social enterprise building world changers through extraordinary experiences. Visit her adventures here. And, make sure you sign up to be on the pre-release list for her FREE upcoming family travel planning guide and share your travel stories! In 2010, my husband was awarded manager of the year at his company, and an “all expenses” paid trip to Italy as the prize. After adding nearly $7,000 of our own expenses to that “all expenses” paid trip and our already weighty debt load of almost $100,000, we realized something MAJOR in our lives had to change. We were spending ourselves into destruction. The journey to becoming debt free did come with us saying no to many things, but one of them wasn’t travel. We just love to get out an explore too much! Even Dave says you need to budget for some FUN! However, our approach to travel completely changed. We made sure we didn’t bring the trips home with us! Here are our top five tips to afford family travel while living on a budget. 1. Make your vacation fund part of your monthly budget. Decide how much you can sacrifice in other little things to be able to afford the big things, like making family memories a priority. Really, the $100 per month cable bill, extra extracurricular activity and gourmet coffee habit can lead to the best investment you can ever make. 2. Pick a realistic vacation spot for your budget. I know, Italy may be your dream trip but Italy at Epcot or The Venetian Hotel may be more realistic for your budget right now. Don’t sacrifice the small trips along the way, but when you reach your debt free status on your financial journey, THEN set aside bigger chunks toward bigger dream travel. That may be a strange concept to us here in America, but in Europe and other parts of the world, it’s second nature. [Tweet “Europeans don’t “vacate” their lives by taking a vacation, they set time aside and holiday.”] American translation= live every day as a “vacation” by setting aside time in your regular lives to enjoy your days, moments, lives- family. Then you’ll be less likely to need to vacate your life. And you’ll be less likely to need a HUGE vacation to rest, as it’s just part of your time. Once you’re away, whether three days or three weeks, unplug. Set the time aside as holy. 4. Remember when budgeting travel, the things we eat add up. Like eating. When we travel, we love to rent a vacation home or find a fabulous deal on a hotel with a kitchen. Our family of four saves huge amounts of money by cooking together, and even breakfast in your room can save over $50 a day when away. Not to mention, we unwind when preparing a meal together and are continuing to build our family Team. Pack your own snacks. Stop at the grocery store for a bag of apples and a case of water for the same price as just one at the coffee shop. Remember to budget being generous in your gratuities. Employees in the hospitality industry rely on the generosity of others to support their families, too. 5. Collect memories, not memorabilia. This has been our mantra since we lived abroad in 2004. Unique photos make the best, and the cheapest, souvenirs. However, by nature, children will want to buy every cool thing they see on your trip. So, prepare in advance. Have them earn extra “commissions” around the house and save their own money leading up to your travels. This way, you are teaching them budgeting techniques and to make wise choices as well. Our favorite family memories are the ones we collect in our minds, and in our postcard album. We do our best to choose a postcard, have everyone sign it, and mail it home from each leg of our trip. We have a priceless album, our travel journal, filled with memories we collected along the way without breaking our budgets. These are great tips. When we road trip I always have snacks packed for our way out just to avoid stopping at too many fast food places. The last 2 tips are great. Getting a place to stay that has at least a kitchenette can save lots of money and seriously, who really needs all the crappy souvenirs anyways? This is a great article and I would love to implement it into our family. When we vacation, we always visit family because ours both live so far away. I would love to be able to save and go on our own family vacation – just us. I heard about this originally through my parents but I’ve been more and more impressed with this philosophy the more I read about it. Thank you for sharing! I really like tip #5. I’m not a fan of souvenirs sitting around the house, love the saving idea for kids, and travel journal idea! My family follows much of Dave’s mantra, and it took about six months to become debt free! Most of these tips we already do, but that number three… It’s true, we should take a little more time to relax and enjoy our days as they pass! Yes, Michelle- our whole concept of travel changed once we sold everything and spent a year in Europe. I’d never experienced holiday. Praying for those savored moments for you! very good tips! i am always looking to travel more with my family and these tips really will help!!! Great tips. I would love to budget for us to have a family vacation. Such great tips. It can be expensive to travel but you can budget for it and stick to that budget to make life easier! Thanks for this post! 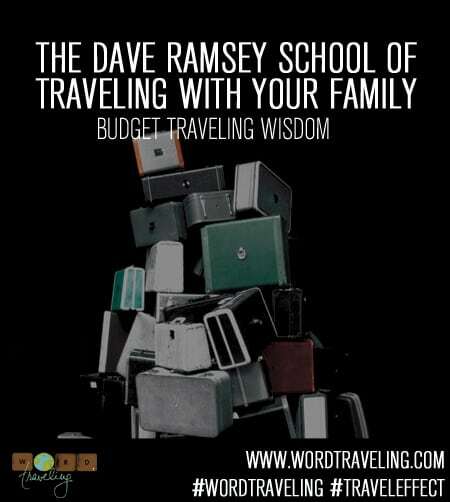 It is so true that you can save so much money when you travel if you prepare food yourself. We usually get a place with a kitchen as well so we can go on outings that cost money, and make up for it with a frugal dinner! Love Dave!! He has so many great tips and has helped so many people! This post is really important and very much appreciated. Thanks for saying so, Danielle. Glad you enjoyed it. Great tips! I always pack most of the food we need so we can avoid the expense of eating out. So glad to hear you are making great strides! Keep with it- the other side is amazing, and where your journey really can begin ! I love Dave Ramsey! His class helped me be able to stay home with my babies. Nothing better than hearing that! These are all great tips. It is important to set time aside for the important things and don’t sacrifice everything for a goal that is unattainable right now. I am glad that you said to remember to budget being generous in your gratuities. Thanks, Jo-Ann, we are firm believers in generosity!